The lobby at Ports of Call Resort, Providenciales. 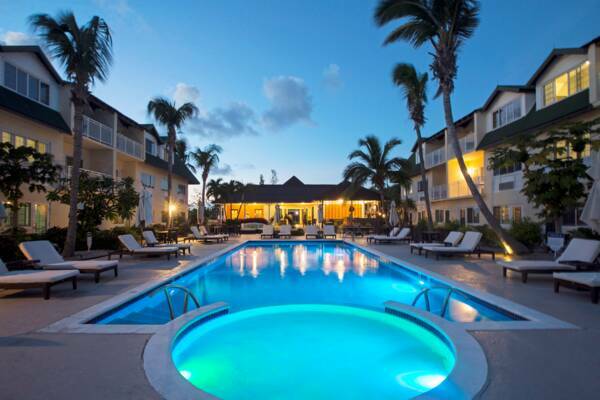 This trendy and newly-renovated hotel is located in central Grace Bay, within a short walk to Grace Bay Beach. Rates include breakfast, free WiFi throughout the hotel and complimentary paddle boards. The Ports of Call shopping plaza is located adjacent. The pool area at Ports of Call Resort.